Basically, we are playing and affecting time, in Time-lapse Photography. Moving objects or events that would take a while like minutes, hours, days or even longer, are then viewed in seconds or over a couple of minutes, when played back. A lot less time viewing, than actually taking the photos! My time-lapse video was of me setting my studio for a basic product photograph, at around 30 second intervals. Even with that large gap between shots, there was several hundred photographs in the final video. I used in fact Adobe Lightroom to collect and process them, into the video, and in Adobe After Effects and Premier Pro to make the intro and end. There is plenty of incredible work out there, from fascinating nature videos, such as flowers blooming, sunsets and those great looking star trail shots. 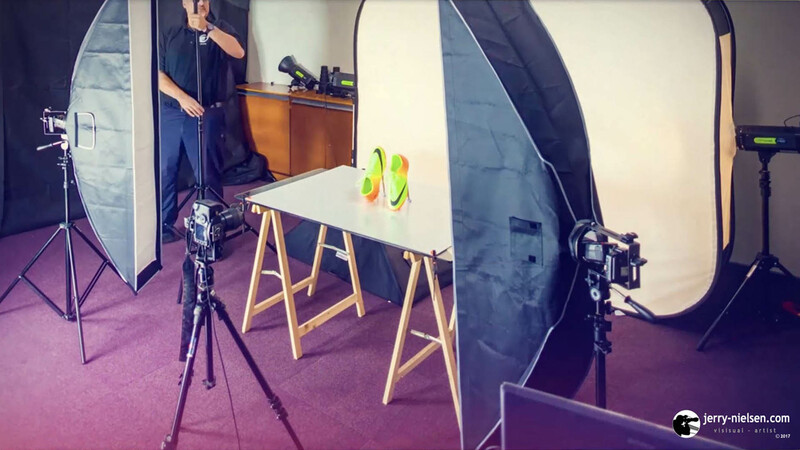 Now my time-lapse was shot more to show potential clients, how I could set-up my mobile studio to take product shots for them in their warehouse for example. Another practical use could be used in the building industry, where an architect or building firm, could shot a building as it is constructed, to advertise themselves later. Anyway, Time-lapse Photography is certainly an interesting subject, and I intend to photograph a few more projects in due course.